AbbVie has exercised its exclusive license option to develop and commercialize argenx’s preclinical cancer immunotherapy ARGX-115, argenx said, making the Belgian biotech eligible for up to $625 million in milestone payments, plus royalties. AbbVie’s decision comes two months after the company paid argenx $10 million following achievement of a second unspecified preclinical milestone in the companies’ two-year-old collaboration. AbbVie paid argenx $10 million for achieving the first preclinical milestone in April 2017, and $40 million upfront for the exclusive option to license ARGX-115 when the companies launched their collaboration in April 2016. Under the collaboration, AbbVie also agreed to pay argenx up to $625 million tied to achieving development, regulatory, and commercial milestones, plus tiered royalties on ARGX-115-based product sales. argenx also has the right to co-promote ARGX-115-based products in the EU and Swiss Economic Area. Oncology is one of AbbVie’s four primary areas of therapeutic interest; the other three are immunology, neuroscience, and virology. ARGX-115 is a first-in-class human antibody targeting the novel immuno-oncology target glycoprotein A repetitions predominant (GARP), a membrane protein believed to play a key role in the regulation of production and release of active transforming growth factor beta (TGF-β). According to argenx, ARGX-115 is believed to selectively limit the immunosuppressive activity of activated regulatory T-cells (Tregs), thereby stimulating the immune system to attack cancer cells. argenx reasons that selective inhibition of TGF-β release by Tregs is potentially superior to systemic inhibition of TGF-β activity or depletion of Tregs, and may allow for therapeutic products with an improved safety profile. 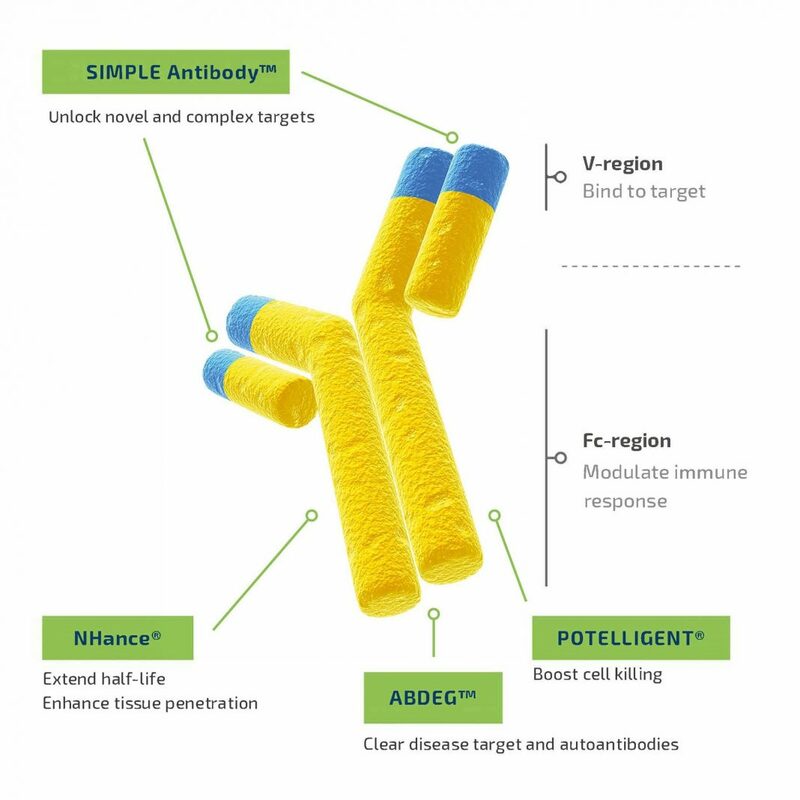 ARGX-115 was engineered through argenx’s SIMPLE Antibody™ platform, designed to source the variable or “V” regions of human antibodies from the immune system of outbred llamas, whose V regions are identical to those of humans. ARGX-115 was discovered under the company’s Innovative Access Program with the de Duve Institute on the Brussels campus of the Université Catholique de Louvain and Walloon Excellence in Lifesciences and Biotechnology (WELBIO), and exclusively licensed to the company under a research and option agreement in 2013. “Our Innovative Access Program remains a strategic priority for us, capitalizing on the combined strengths of the argenx antibody platform and the deep disease biology expertise at research institutions,” added argenx CEO Tim Van Hauwermeiren.